This Swarovski Crystal is two sided. Shown here dark metallic bronze, and reverse is jet black. The crystal measures 18 x 13 mm. 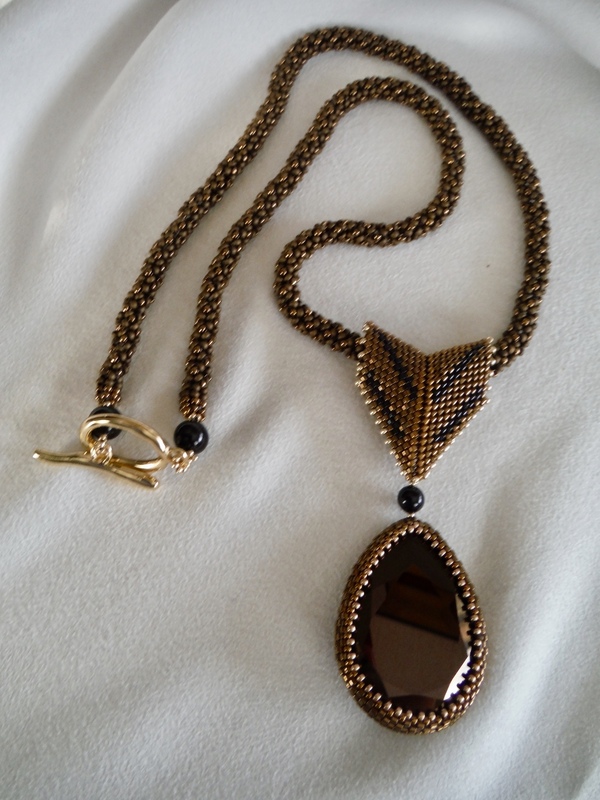 The beaded bail and neck strap are accented with Jet Swarovski pearls.